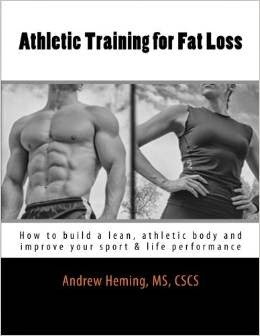 Andrew Heming's Blog: Is High Frequency the Best Way to Build Muscle? Want to pack on muscle fast? If so, have to use the best training frequency. For years people did 3 days per week, whole body training. Then, gradually in the 80’s and especially the 90’s people started to move into body part splits and training a muscle once per week. Now, the pendulum has swung back in the other direction and high frequency training is more popular. Some even hit a muscle 4 or more times a week. Who is right? And, more importantly what is the best frequency for you to build muscle? Let me start by saying that I’m very dogmatic about not being dogmatic. I’m not trying to convince you to use a high or a low frequency of training. There are coaches in the industry that I respect who advocate high training frequency for muscle gain while others advocate low frequency training. This is in no way an attack on anyone. Rather, I simply want to encourage you to think through some important issues, critique some of the common arguments for high frequency training and to help you find what works best for you! One of the most common arguments I have heard of the years for high frequency muscle building is simply this: what do you think will make a muscle grow faster – hitting it 52 a year or 156 times a year? Now when you look at this from a math perspective, it seems like a no-brainer. However let’s look at it from a training perspective. If you give your muscles shorter, more frequent bouts of training, are you still hitting the training threshold necessary to stimulate hypertrophy? Does the required volume of training to stimulate hypertrophy need to happen in a single session or can the same amount of work be spread out over multiple sessions? If you give your muscles shorter, more frequent bouts of training, are you still able to recover fast enough and grow muscle? Back in 2000, a study in the Journal of Strength and Conditioning Research compared 1 vs. 3 days per week in a volume-match experiment. One group trained one day per week using 3 sets per exercise and the other group trained 3 times a week with one set per exercise. Each group used the same load and volume. The group that trained 3 times a week had better size and strength gains. In 2007, a slightly better study was done. This study used 29 untrained volunteers and divided them into two groups. The first trained 2x per week and did 3 sets of 10 reps on 9 different exercises. The second group trained 3 times per week doing 2 sets of 10 on 9 exercises. As in the previous study, volume was equal, but the frequency was different. Both groups got stronger and gained lean mass with no real difference between the two groups (group 2 was slightly better). The authors concluded that volume may be more important than frequency. In 2011, researchers compared training 3 vs. 4 times per week on strength and body composition in middle-aged women. One group trained 3 times per week doing 3 sets of 8 exercises while the other group trained 4 times per week on an upper/lower split doing 3 sets of 6 upper body exercises or 6 sets of 3 lower body exercises (i.e. both groups did 72 sets per week – same volume). After 8 weeks, there was no significant difference in strength or lean muscle gained. What can we really interpret from the research? First of all, remember that research does not prove anything. It simply supports a theory through observable evidence. Secondly research does not have all the answers. There are still countless unanswered training questions. When I look at these studies, I notice something: they are all done in a very controlled scientific way, but not necessarily in a real-world way. Thankfully, a recent study published in the July 2015 Journal of Strength & Conditioning Research by Brad Schoenfeld et al. did look at equal volume and equal gym visits per week with one group doing a split routine and the other group doing a whole body routine. They also used more typical bodybuilding volumes. It was a short-term study (8 weeks) with a small sample size (19 men), but it revealed a slight advantage to total body training over split routines for strength and muscle size. While these numbers were statistically significant, they were very minor. The total-body group gained 1.1mm more in their forearm flexors, 1.3mm more in their forearm extensors and 2.4mm more in their vastus lateralis. One key practical application of this research is that a body-part split may require more than 3 total days to work effectively. If you are only training 3 days per week, it may be best to use a whole body routine and save a split routine for when you can train 4-6 times per week. You always have to watch for with the research is the experience level. Many studies use subjects with little to no training experience. If you are advanced or you train clients who are advanced, these studies are not as applicable for you. Many studies are done for the short term. However, gains in hypertrophy can take longer as neuromuscular adaptations tend to happen first. It would be interesting if the above studies were continued for a longer period of time. As you can see from the research, the evidence for an optimal training frequency for muscle hypertrophy is still lacking. So where does that leave you? Okay, now that we’ve looked at the arguments and the research, let’s get to the most important issue here – you and your training. Here are some important things to consider when it comes to training frequency for muscle gain. Beginners should start with 3 times per week whole body routines. While beginners can still make gains with body part split routines (actually beginners can make gains with almost anything), a whole body routine sets a beginner up for the fastest possible gains. To make the fastest possible results, you need to quickly learn how to do the best movements for packing muscle onto your body. You also want to rapidly increase your strength so you use the big weights necessary to stimulate hypertrophy. When you do a movement 3 times a week in a simple whole body routine, you have 3 times that week to practice the lift and 3 times to add more pounds to the bar. As a result, it can be more difficult for advanced lifters to train with a high frequency. The lower frequency per muscle group may be needed to create the overload and allow for proper recovery. How frequently are you really hitting a body part when you use a split routine? If you have a back day and a biceps day, you hit my biceps 2 times. If you do some chin-ups on your biceps day, you also hit back twice. Remember that the body works as a unit and while you can emphasize a particular muscle, you cannot isolate it. When you split things up, you ensure to get hit hard once, but they will get some additional work more than once. Also, if you focus on more of a movement split rather than a body part split, you will keep structural balance and get some nice overlap. Are you trying to specialize? One excellent strategy for more advanced folks is to specialize in a particular area with a higher frequency. For example, let’s say you want to specialize on your chest for a month. During that month, you train your chest 3 times per week. However, to avoid overtraining, you put the rest of your body on maintenance mode and do another 1-2 sessions a week for the rest of your body. You don’t have to choose between hitting a muscle group once every 10 days and hitting it 7 times a week. One of my all-time favorite splits is a simple upper/lower split that has 4 session per week – 2 for upper and 2 for lower. Have you tried high and low frequency training? Quit worrying about whether your training program is aligned with the latest fitness fashion. If you have not tried high frequency training, then you should definitely try it. Try both high and low frequency training and use what works for YOU! I have made progress with once a week per body part and 4 times per week whole body training. Ask around and you will find folks who have been successful with high frequency and others with low. While the fitness industry loves catchy little slogans like “3 weeks to abs” and “4 weeks to jacked,” you need to be willing to commit to training for the long haul. A training frequency that lets you make steady gains for the long run is better than one that lets you make short-term rapid gains followed by plateau or illness. Also, when it comes to making long-term progress, switching strategies is a great way to bust through a training plateau and make some fresh gains. If you have been using a higher or lower frequency, try switching to the opposite for a while. You can always go back. Remember you don’t have to commit to a certain way of training for the rest of your life. While frequency is an important training variable, it is difficult after reviewing the research to say that it is the most important factor. Hypertrophy is stimulated by 3 mechanisms: mechanical tension, muscular damage and metabolic fatigue (Schoenfeld, 2010). Make sure your training does this and that your nutrition and lifestyle allows optimal recovery. Then, you can play with the frequency variable. What training frequency have you found to work the best for you? McLester, J.R., Bishop, E. Guilliams, M.E. (2000). Comparison of 1 day and 3 days per week of equal-volume resistance training in experienced subjects. Journal of Strength & Conditioning Research, August, 14(13), 273-281. Candow, D.G., & Burke DG. (2007). Effect of short-term equal-volume resistance training with different workout frequency on muscle mass and strength in untrained men and women. Journal of Strength and Conditioning Research, February, 21(1), 204-207. Benton, M.J., Kasper, M.J., Raab, S.A., Waggener, G.T., & Swan, P.D. (2011). Short-term effects of resistance training frequency on body composition and strength in middle-aged women. Journal of Strength & Conditioning Research, November, 25(11), 3142-3149. Schoenfeld, B.J. (2010). The mechanisms of muscle hypertrophy and their application to resistance training. Journal of Strength & Conditioning Research, October, 24(10), 2857-2872.